IChemE’s Corporate Partners make a major contribution to the chemical engineering profession and to the world around us. The list of Corporate Partners is growing and it’s worth highlighting some of their success stories in my blog. Our three-tiered Corporate Partner scheme was launched in 2009 to build links with industry. 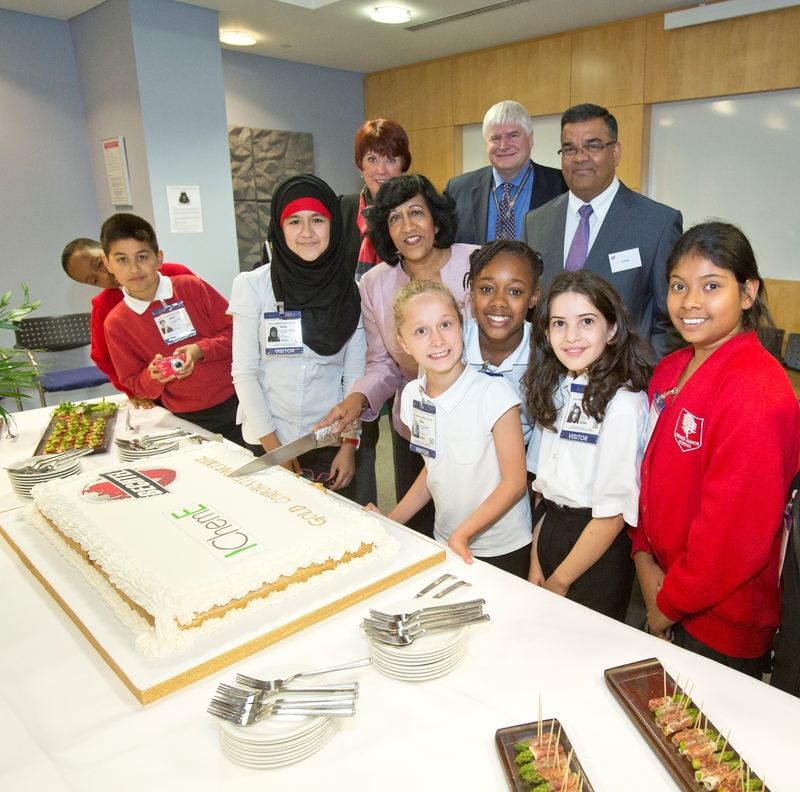 Corporate Partnership recognises a company’s commitment to engineering excellence, employee professional development and inspiring the next generation. Bechtel is a global leader in the design, procurement, construction, and project management of oil, chemical, and natural gas facilities. They employ 500 chemical engineers worldwide and became a Gold Corporate Partner in 2013. They even baked us a cake to help celebrate! Since 1898, Bechtel have completed more than 25,000 projects in 160 countries on all seven continents. That’s no mean feat. And recently, they constructed the biggest oil refinery in the world. In 1996, Reliance Petroleum Limited – who have since amalgamated with Reliance Industries Ltd (RIL) – were looking at ways to grow their business. So they decided to build a new refinery. 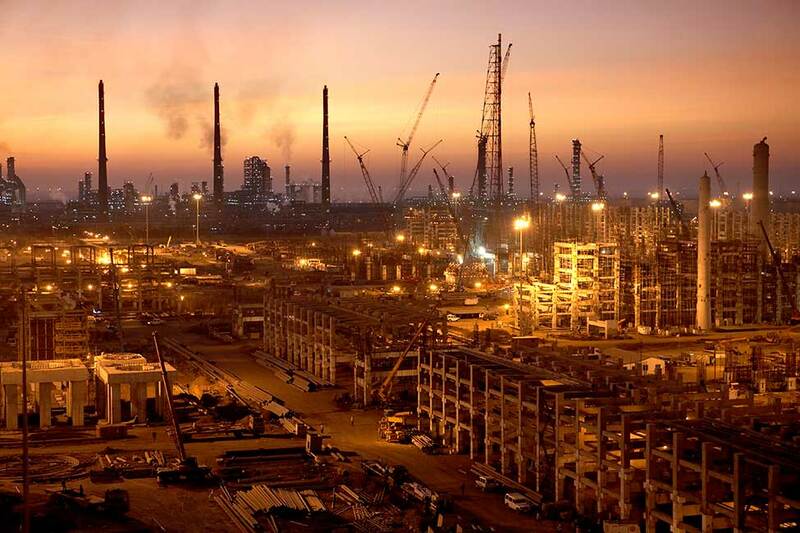 RIL invested over UK £4 billion on the project and by the turn of the millennium, Bechtel had completed the Jamnagar complex. It was the largest refinery and petrochemical complex ever built from scratch. As well as the refinery and petrochemicals complex, it included India’s largest port facility and captive power plants. RIL were delighted. So delighted in fact, that they promptly asked Bechtel to build another one right next door. Talk about keeping the customer happy! Bechtel rose to the challenge, and working in close collaboration with RIL throughout, completed the second refinery in 2008. The projects doubled RIL’s refining capacity to more than 1.2 million barrels of oil per day – more capacity than any other single location in the world. The second refinery is the largest industrial project ever implemented by the Indian corporate sector. Bechtel’s team completed this massive development in a record time of less than three years. So let’s take a look at the numbers; they poured over 1.5 million cubic metres of concrete and installed four million metres of piping. The construction site would have swallowed the city of London whole. The project employed more than 70,000 workers, including 2,800 engineers (including chemical engineers) and other professionals in 19 offices around the world. So why does it matter? Well, fossil fuels are likely to maintain a central position in the world’s energy economy for decades to come. The fuels produced at Jamnagar are predominantly for export to the US and Europe. But the site also produces polymers, including polypropylene, which is used in construction materials, packaging, furniture and other household goods. Reliance fills fuel tanks and gets people to work each day. They supply the materials needed to build houses and maybe the chair you’re sitting on as you read this blog. Three years ago, the world welcomed its seven billionth citizen. The need to produce more materials grows with the demands of the global population. People are living longer and aspire to lifestyles that drive consumer demand at an unprecedented rate. The Jamnagar project is huge example of why chemical engineering matters. So I’m pleased to report that Bechtel, the company behind the world’s biggest oil refinery, are a Gold Corporate Partner of IChemE. Through this relationship, Bechtel are demonstrating a powerful commitment to the training and development of their global community of professional chemical engineers. Long may the partnership continue. You can see a full listing of our corporate partners on the IChemE website. And If you’d like to see your company’s name on the list, get in touch with Neil Young. Neil, will be happy to talk through what’s involved. No David, that’s silly. I was merely observing: in today’s world, that’s where the wealth and power resides. Whilst these mega projects may be the most visible there are lot of chemical engineers working away on much smaller things. Personally I suspect that we are already past the peak of hydrocarbon processing but it is not obvious at present. Thanks for reminding us of the preponderance of hydrocarbon-exploiting companies among our gold corporate partners. Are you suggesting that IChemE should throw out all of its members working in oil and gas Colin?